So you dream of having a thick, lush head of hair again; or at the very least you'd like to hang on to what you have left. Short of a transplant, is there anything you can do to re-grow hair? The answer is yes! With Rogaine, you can slow down or even stop thinning hair, and hopefully grow back most of the hair you thought was lost forever. 3 How to use it and how to apply it? 3.2 Rogaine foam: Apply only a capful to the affected area twice a day. 5 Rogaine Review: How Does Rogaine Work? 6 Rogaine Results: Does Rogaine Really Work? 10 Conclusion: Does Rogaine work? Rogaine is one of the most commonly used hair restoration products in the U.S. It is the only FDA-approved over-the-counter hair loss product for both men and women, and it has been proven by multiple studies to stimulate hair growth. Rogaine is sold in foam or liquid and is available in two strengths: 2% and 5%. The exact way that Rogaine works is not fully understood, however it is believed that the active ingredient (minoxidil) dilates blood vessels in the scalp, which enhances hair follicle function and triggers growth. Rogaine solution and foam are widely used in the treatment of male pattern baldness, but the 2% solution and foam are not commonly used for baldness at the front of the scalp or in the case of a receding hairline in men. Instead it is used primarily to enhance hair growth in women with thinning hair. How to use it and how to apply it? Apply Rogaine exactly as directed by a physician or as directed on the package labeling. Start by reading all instructions on the package and if you're not clear about any of the information, it's recommended that you contact your doctor or pharmacist. To apply the foam, start by rinsing your hands in cold water and dry well, and then apply 1/2 capful of foam to your scalp, making sure to rub it in. For best results, allow the foam to dry completely before styling or going to bed. Rogaine should never be used on any part of the body other than the scalp - unless otherwise directed by a physician. It should not be applied to bruised skin, or skin that is irritated, infected, or sunburned. Wash your hands after every application, and avoid touching your eyes. If you do get it into your eyes, rinse with plenty of water. Using more of this product will not speed up hair growth - in fact it can cause side effects. Rogaine is usually applied twice a day; in the morning and nighttime before going to bed. It takes about three months to see significant hair growth, however it might take longer for some people. 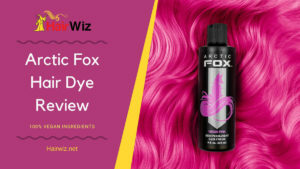 The new hair is usually soft, colorless, and is barely visible in the first stages of treatment; however with continued use, the hair should start to take on the same color and thickness as the rest of your hair. The foam canister should be stored at room temperature and away from heat and moisture. Do not keep it in your car, and do not puncture the canister even after use. Rogaine solution: The recommended adult dose for alopecia is 1 ml topically applied to the affected area twice a day. The dose should not exceed 2 ml per day. Rogaine foam: Apply only a capful to the affected area twice a day. In case you miss a dose, apply it as soon as you remember; however if it' almost time to apply the next dose, then its okay to skip it. Don't apply the product in excess to make up for a missed dose - this won't have any real benefits. In the event of an overdose - or if someone ingests the product, seek emergency medical attention immediately. The safest dose for women is the 2% concentration. It is a moderate formula that is designed for women's use and can be purchased over the counter at any pharmacy as Women's Rogaine. 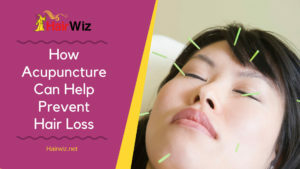 There are instances where hair loss specialists would recommend a woman to use the 5% formula (for instance to treat a severe case of hair thinning) but this is likely to cause side effects like scalp itching and irritation. Rogaine is used to help grow hair and to prevent hair loss caused mainly by male or female pattern baldness. It is the most common cause of hair loss and it runs in families. Rogaine is most effective when used to treat hereditary hair loss at the vertex of the scalp (this is the area right under the crown, at the back of the head) or to stop general hair thinning in women. Rogaine is most effective when used by people under 40 years and who have only started to lose hair. It's not effective when used on a completely bald head. You don't have a family history of hair loss. You have a red, itchy, or infected scalp that is painful to touch. Your hair loss was caused by hair grooming (e.g., cornrowing), chemicals, or using too many hair products. Your hair loss was triggered by a condition like thyroid disease, scarring of the scalp, nutritional deficiency, or chemotherapy. Some people use it as a preventative measure because family members have experienced hair loss. Remember, the amount of hair re-growth is different for each person, and you're not likely to grow back ALL your hair. Rogaine Review: How Does Rogaine Work? Rogaine is a vasodilator. 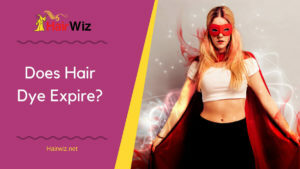 The actual mechanism that causes hair growth isn't immediately clear, but it's believed to work at least partially by enlarging hair follicles and also elongating the growth phase of hair. When more follicles are in the growth phase, you're likely to see more hair on your scalp. Rogaine Results: Does Rogaine Really Work? Clinical studies have shown that Rogaine does indeed re-grow hair for the majority of users. In the original clinical study that led to the drug's approval in the late 1980s, 40% of men showed moderate to dense hair growth on the crown and in a subsequent observational study, 62% of the 984 men who had used the 5% formula showed a reduction in hair loss. As for hair growth, Rogaine was reported as "very effective" in 16% of users, "effective" in 48%, and "moderately effective" in 21%. Only 15% of users failed to see results. Studies have also been done on women, with positive results. One double blind study showed moderate hair growth in 19% of of women aged between 18 and 45, and minimal hair growth in 40% (other studies have shown better results). Rogaine does work, but there are a few catches if you want to see great results. Using it regularly can mean the difference between success and a bald, hairless head. Remember, Rogaine isn't a miracle drug, so you won't see results immediately. It will take you a few months to see improvements, and changes are slow and gradual so you won't have substantial hair growth until about 4 months in. Rogaine also needs to be in your scalp all the time for it to be effective, so you have to apply at least once a day, everyday. Hair loss experts recommend applying twice a day for men and at least once a day for women when using Women's Rogaine. Forgetting a dose once in a while won't spell disaster but you really need to form a habit of using it in order for it to work. Keep in mind that Rogaine is not a cure for baldness, it is a treatment. So if you stop using it, your hair loss will return and it could be worse than before you started using treatment. If you want permanent results you have to be prepared to use the product for life. Minoxidil is a vasodilator medication that is most commonly used to treat hair loss. It is sold as a generic medication and is available over the counter at most pharmacies. Minoxidil is applied topically, and is effective at triggering hair growth in at least 40% of users, whether male or female. Although the mechanism of action is not fully understood, hair growth experts hypothesize that widening blood vessels and opening potassium channels allows more oxygen and nutrients to reach hair follicles. This in turn causes hair follicles in the telogen phase to shed, and they are replaced by fuller, thicker hairs in a new anagen phase. Minoxidil, the active ingredient in Rogaine, is not very effective when the area of hair loss is extensive. It works best when used in younger men or women who have experienced hair loss for less than 5 years. Rogaine is considered safe, and side effects are most likely to develop at the site of application. A burning and stinging sensation is common in the first few weeks, and in some cases a redness or rash may develop, and this usually indicates a mild allergic reaction known as contact dermatitis. Excessive hair growth in other areas is also a possible side effect, though less common. Excessive hair growth is most commonly marked by sideburns and not to hair growth in other parts of the body. Other possible side effects include headaches, weight gain, low blood pressure, and heart palpitations. Contact a health expert if you experience more severe side effects like weight gain, dizziness, inflammation of the hands and feet, or chest pain. 3-month supply of 5% Rogaine hair foam to treat hair loss, maintain good hair density, and promote re-growth. Formulated using 5% minoxidil, this powerful treatment also works to enhance hair follicle activity, and causes hair protein production, which results in 25% more hair. This product also contains botanical extracts and emollients to keep hair soft and smooth; and alphahydroxy acid exfoliates the scalp to keep hair follicles open. Ideal for use during early stages of hair loss or hair thinning, and it delivers visible results within 12 weeks. Hair follicles shrink with age, leading to hair thinning. Unlike the usual hair loss products like shampoos and hair thickening products that target the hair on top of your head, this formula penetrates deep into the skin to reactivate shrunken hair follicles, giving you a head full of younger-looking hair. This formula uses a combination of ingredients to target the scalp and follicle to prime the scalp for maximum hair growth. When you start using the product, hair loss will continue for a couple of weeks before the active ingredients are absorbed into the scalp. This is completely normal and won't have any bearing on the long-term results. Thinner hairs will continue to shed and new hairs will grow in their place. Twice-a-day application will yield results in 2-3 months, however some men may need to apply it for up to 4 months to see positive results. This product is fully refundable if you don't see results after 120 days of daily use. Rogaine Extra Strength 5% solution with added ingredients to help with hair texture, density, and softness. Fast working 5% minoxidil with proven strengthening effect. Triggers hair protein production to strengthen hair and reactivate hair follicles. Delivers results within 12 weeks. Rogaine hair treatment solutions are renowned for their capacity to target hair follicles and trigger hair growth even in the worse case of hair thinning, and this extra-strength solution works from the inside, penetrating deep into the scalp to reverse hair thinning. For the best results, apply just 1 ml in the morning and another 1 ml before bed, and use the dropper when applying. Massage gently to allow the product to be absorbed into the scalp and give it time to dry completely. Remember continued use is needed to see results. Rogaine Extra Strength Solution works for both men and women with hereditary hair loss and is most effective at stopping progression, as opposed to re-growing hair on a bald head. It uses the FDA-approved ingredient minoxidil to enlarge hair follicles, and this allows for normal hair growth over time. Rogaine foam for hair growth, with 5% formula for thinning hair and hair loss. Specially designed for women's hair. A fast-working formula that primarily uses minoxidil to re-grow hair and to boost hair follicle activity. Effective against hair thinning; and it contains a variety of botanical extracts to enhance hair quality and to condition the scalp. It is ideal for use within the first few years of hair thinning and it delivers clinically proven results within weeks. 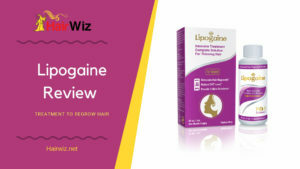 Women's Rogaine is a non-hormonal topical hair re-growth treatment. When applied to the scalp, it renews the hair regrowth cycle and expands hair follicles. Unlike the men's formulas, this one is applied only once a day. It was manufactured specifically for treatment of female pattern hair loss, and is ideal for any woman with noticeable thinning hair around or near the front of the scalp. Women's Rogaine is proven to re-grow hair in 80% of women who use it once a day (Johnson & Johnson performed clinical studies and measured results after six months of use). New hair growth comes up thicker and fuller, though the total amount of hair re-growth is different for each person. 2% minoxidil solution for women's hair growth treatment. Works by targeting hair follicles and is proven to re-grow hair in 25% of users. A gentler version of Women's Rogaine, it is perfect for moderate hair thinning and it comes in an easy-to-use solution that can fit into your daily beauty regimen. At least half of all women experience hair thinning by age 50, and some women start losing hair much earlier. For improved results, it is recommended that you start using this product earlier, as soon as you notice hair thinning. It will prevent any further thinning or hair loss, and will make it easier to replenish thick, fuller hair. Apply just 1 milliliter directly to your scalp twice a day and massage thoroughly. Waiting for Rogaine to dry shouldn't be a problem if you can multitask. 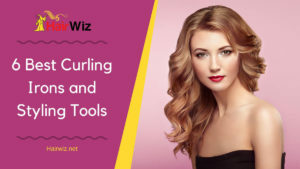 Most women apply the product and then while it dries, they put on makeup, have breakfast, or answer email before styling their hair. You might experience a temporary increase in hair shedding in the first 2 to 6 weeks but once this passes you will see new, stronger hair. If shedding persists for more than 6 weeks with continued treatment, consult with your doctor. 5% minoxidil solution for 12 month's use. This solution contains 5% minoxidil and it is specially made for men with pattern baldness. The active ingredients nourish the hair follicles to facilitate new hair growth, and the solution has to be applied daily to give you the best results possible. Keep in mind that the more hair you have lost, the less you will recover. If you are in your 20s or 30s the results are wonderful but the older you get the more difficult it is to replenish your hair. It might take longer if you've been losing hair for years, however minoxidil is a great product provided you don't have unrealistic expectations for it. The only time minoxidil doesn't work is if you don't use it the right way or if you apply it on a fully bald head. If you follow the instructions you're likely to grow back your hair, though maybe not all of it. Reactions are minimal, and results are visible in a few months. Rogaine actually works. It might take a while for it to kick in, but with proper, consistent use you will get back your thick, attractive hair (and your confidence), and nobody will know you ever lost any hair. Since you'll be using the product for ever, you have to fix it into your daily routine without it taking too much of your time. Some people apply it right after getting out of the shower. For most men it takes less than a minute to apply and after a while it becomes a mindless part of their daily routine like brushing teeth. Just remember to dry your hair completely because water can dilute the solution or affect the way your skin absorbs minoxidil. Rogaine foam is a good option if you find the drops too messy. The drops can stain your pillow so using foam makes more sense if you need something that dries much quicker. Minoxidil is also very affordable thanks to the FDA openly licensing it for generic brands, meaning you can get a year's supply without spending hundreds of dollars. Rogaine is a great product and as far as side effects, they are minor and usually tolerable. You might experience itchiness on the scalp for the first few weeks but it goes away. For most people, a head full of hair is definitely worth the trade-off. You might also consider using Rogaine in combination with other products for better results - like if you have a really bad case of hair loss. Caffeinated shampoo is great for stimulating hair growth, and when combined with minoxidil, it promotes hair growth more effectively. One thing that might also help you speed up the process is, if you add Sugar Bear Hair – Revolutionary Hair Vitamins to your diet. Read review here!